Benjamin Franklin designed the first U.S. penny in 1787 (called a Fugio cent). The U.S. Mint started producing pennies in 1793 with Large cents (1793-1857), followed by Flying Eagle cents (1856-1858), Indian Head cents (1859-1909), and Lincoln cents (1909-present). 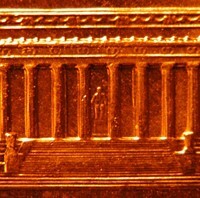 One of the most popular pennies among collectors is a Lincoln cent design: the Lincoln Wheat penny (1909-1958). Here, experienced coin collectors are sharing fun ways to collect pennies, how to grade pennies to determine their condition & value, which pennies are the rarest & most valuable, and how much U.S. pennies are worth (by year). Here are the rarest wheat pennies, along with the prices and values for these rare Lincoln wheat pennies. A twentieth century type coin set is a collection of coins which includes one of each design from each denomination the United States produced between 1900 and 1999. 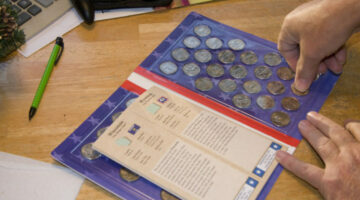 It’s a fun — and relatively simple — way to collect U.S. coins. It’s surprising what ends up in your pocket as change received from a simple purchase. I’ve managed to complete a very informal coin collection strictly from pocket change. Every morning when I stop to pick up a newspaper, I check to see if the 2 quarters in change are the next coins for my collection. Other unique coins made their way from pocket change to my coin collection as well. 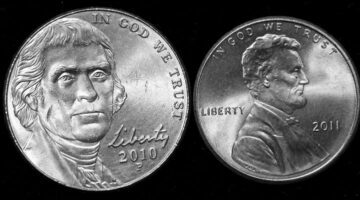 Some novelty coins were made to commemorate or celebrate something, however, they were not made by the U.S. mint — so they are not actually true commemorative coins. Two examples are the Lincoln-JFK penny and the Liberty Bell penny. Here’s more info about each, including what they’re worth. 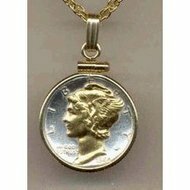 Looking for some unique pieces of coin jewelry? Here’s the scoop on coins used as jewelry pieces… what to look for and some idea of what they may be worth. 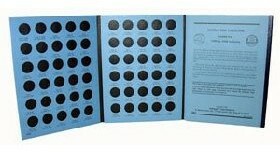 How Much Are Complete Coin Sets Or Completed Coin Folders Worth? You’ve probably seen Whitman coin folders and wondered if that’s something you need to protect your coins or not. You know, those blue folders with the picture of the coin on the front and cardboard with lots of little round holes inside. Check out these one-of-a-kind coin-related items would make great Christmas and Birthday gifts for friends or relatives who are coin collectors — even beginners or those who just found coins and they’re now a little interested in coin collecting. 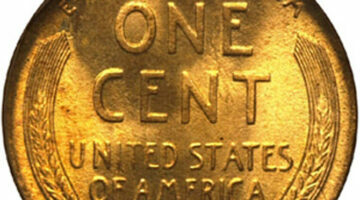 Did you know that the U.S. had a 2-cent coin? Yes, from 1864 to 1873 the United States had a coin with a denomination of two cents. There was a 3-cent coin, too — with a denomination of three cents from 1851 to 1889. Interestingly, some 3-cent pieces are silver, while others are made of a nickel composition (those are sometimes called 3-cent nickels). Here are little-known facts about 2-cent and 3-cent coins… and how much they’re worth today. 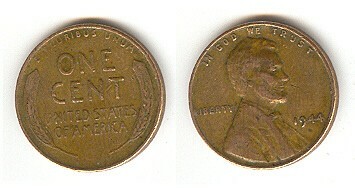 The one cent penny is not the lowest denomination of coins in the United States. It’s actually the half cent or half penny. Here’s the scoop… and what they’re worth. Interested in finding the grade of your penny? Here’s how you can determine the exact grades for your circulated small cents — pennies. 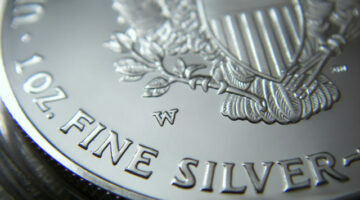 Coin Facts vs Coin Fiction… Do You Know The Difference? How much do you know about U.S. coins and coin history? Jot down your answers and see how well you do. 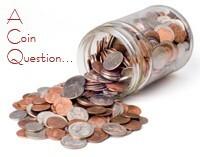 The correct answers to these coin questions are at the bottom… no cheating! What Is A 1922 Wheat Back Penny Worth? Very few wheaties — wheat back pennies — have much value, however a variety of the 1922 happens to be one that does. Here’s how to determine if your 1922 penny is worth 4 cents or 400 dollars. 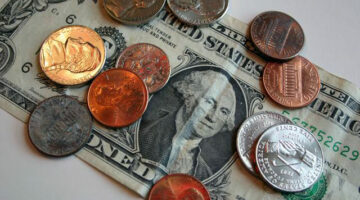 Are we about to witness the demise of the penny and the nickel? New rules have gone into effect that makes it a crime to melt pennies and nickels and sell them — despite the fact that the price of the metals inside those coins is worth more than the face value of the coins themselves! Finally! Now there’s a way to get CASH — penny for penny — for all your loose change. Well, sort of. The equivalent of cash, actually. 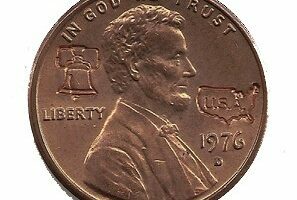 Little-known facts about pennies in circulation in the United States, including old rare pennies and the Lincoln penny. Rare Lincoln-Kennedy Penny: Are Commemorative Coins Valuable? Wondering what the value is of a Lincoln-Kennedy Penny? Here’s a little about the commemorative Kennedy-Lincoln penny, including some of the similarities — and differences — between President Kennedy and President Lincoln.